The pacific northwest monsoon season is arriving in my neighborhood. I use the term “neighborhood” loosely, as I’m spending a few weeks living on a sailboat. 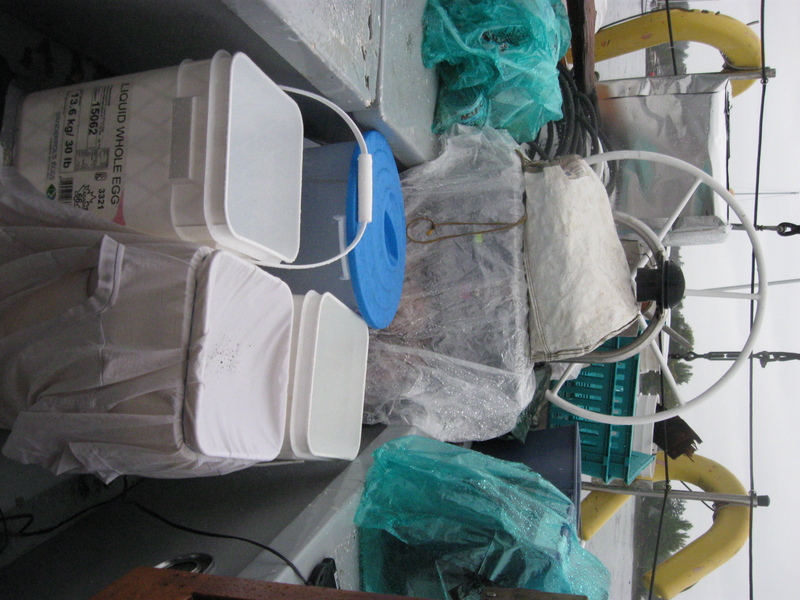 Life on the water finds even more uses for buckets than life on shore. On rainy days, just a few catch enough water to meet all my drinking and cooking needs. The water is delicious and clear, unlike our municipal source which has a faint yellow sediment tint this time of year. 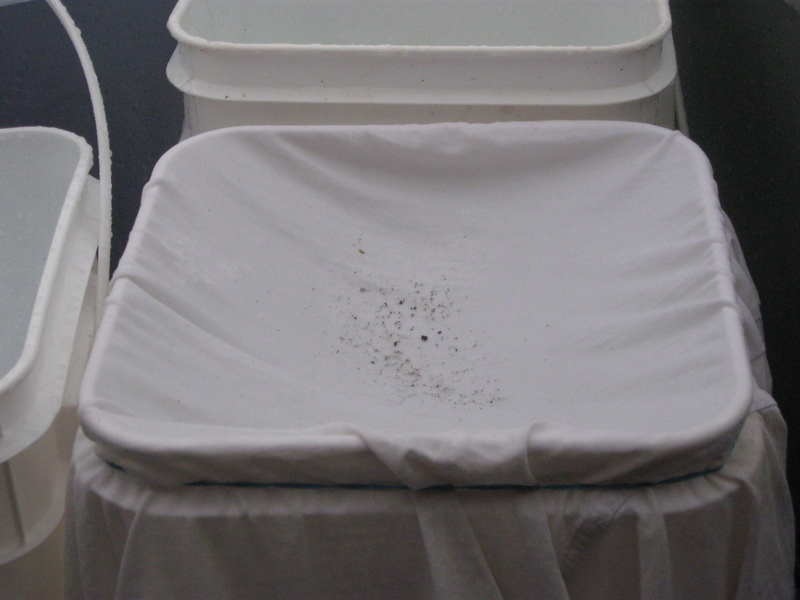 The only filter I need is an old t-shirt tied over-top one of the buckets. 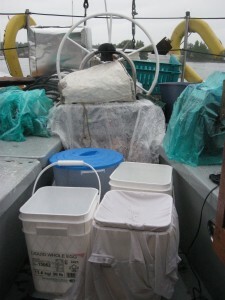 Its main function is to filter out sand, which is ubiquitous on the boat. In my system, the two open buckets are poured manually into the filter bucket when I need water. The rains here are aggressive enough that I don’t need a panel to collect enough water, but if I used a clean tarp to increase my collection surface I would have enough water to start a water bottling company! What would you pay for a bottle of fresh, pure, five gallon bucket water?